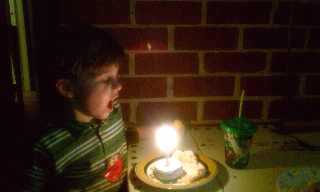 A week and a half ago, this boy turned 4. How is that possible? 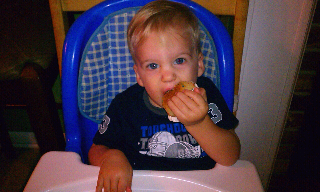 My sweet, funny, adorable Matthan, Mommy loves you very much. 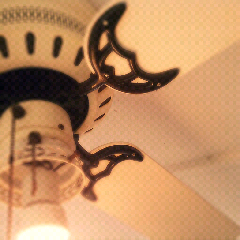 My porch fan has been without blades for almost a year now. I took them off to replace them with some others that were much better looking. The old ones were disposed of before I realized the screw holes for the new blades didn't fit--like 2 mms too close together. So at least once a month, I'd walk out on my porch, want to turn the fan, and get sad. 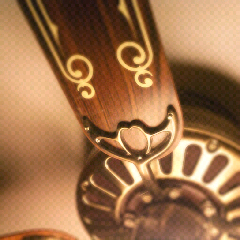 Buying a new fan wasn't really an option, and I didn't want to spend too much money on blades. This week, I thought I'd take the kids to the habitat home store since I finally figured out where it is, and it's only a mile or two from Matthan's preschool. What should be sitting there, sort of out of place? Some fan blades, for $5! I measured them, went home and measured the fan, saw it was a match, and went back to get them. It was a bit of a hassle loading and unloading the kids, but, they were the right size! I had to get them before anyone else did! But goodness, they were ugly. They looked like this first picture--bad enough!--but imagine this in white and shiny gold. No. This is the face of sheer delight. 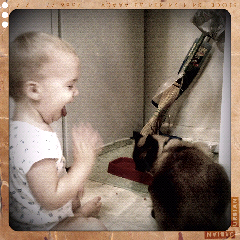 :) He LOVES this cat. If only Leo would reciprocate. I'm trying to learn to love my house again. Here are two pictures to help me toward that goal. 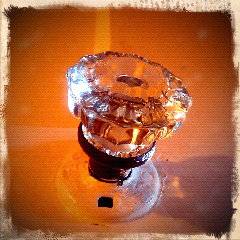 I mean, I'm pretty lucky to have glass knobs throughout. 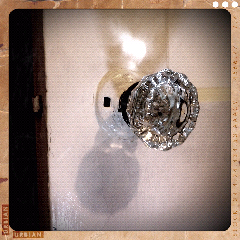 So I guess it's safe to say I love my door knobs. And that's a start. 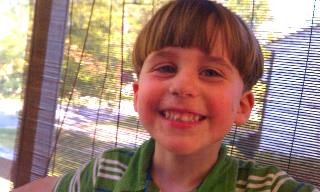 Wife to David, Mom to Aubie, Matthan, and Solomon.